RunKeeper har på självaste nyårsafton uppdaterat sin app till version 3.0. Många har förmodligen lovat att 2013 kommer innehålla någon form av träning, så det är nu som löparskorna ska fram och konditionen förbättras. A brand new RunKeeper just in time for the new year! With this version, we’ve completely redesigned the app to tie everything together into a fresh, easy-to-use, and fun experience. Besides a totally new look, we’ve also added some exciting new stuff all through the app! Bortsett från nyheterna ovan så finns det massor av andra funktioner i RunKeeper. – See detailed stats around your pace, distance, and time. – Get stats, progress, and coaching through your headphones with built-in audio cues. – Listen and control your music while you work out. – Measure your heart rate with many available sensors. – Take pictures along the way to share and save while you go. – View a detailed history of your activities to see how you are doing. – Get notified when you hit new personal bests and milestones. – Measure your progress against your goals and targets. – Follow detailed plans to help you achieve specific fitness objectives. – Turn any activity into a route to do again later. – Post your activities, achievements and plans to Facebook, Twitter and your friends on RunKeeper.com. 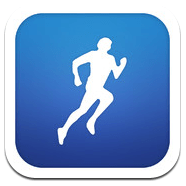 – Let supporters watch LIVE maps of your workouts and races as you go (must subscribe to RunKeeper Elite). – Integrate your activity data with more than 70 other apps and services including Fitbit, Withings, Zeo, Garmin and many more, to get deeper insight into your overall health. Håll dina nyårslöften och hämta RunKeeper i App Store.